Available for Montreal residents only. An increasing number of people in Montreal are becoming aware that mold isn’t just a nuisance, but a REAL threat to indoor air quality and, thus, human health. The most common types of mold found in indoor environments are Alternaria, Aspergillus, Cladosporium and Stachybotrys, all of which have been known to trigger negative reactions in otherwise healthy people. Luckily, there is a lot you can do to ensure that the air quality in your home is safe levels. For one, you can get your air tested periodically to check for pollutants and contaminants like black mold. Furthermore, you can ensure proper ventilation of your home to keep humidity levels low and to minimize the concentration of indoor pollutants such as mold, VOCs and bacteria. Since Canadians spend 90% of their time indoors, it’s our duty to make our indoor living space as healthy and safe as possible. Learn more about indoor air quality. Mold, mildew and overall poor indoor air quality are growing concerns for residential and commercial property owners. 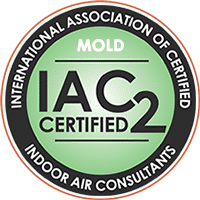 To combat this and improve overall quality of life, Mold Busters is committed to providing reliable and affordable air testing services and mold removal in Montreal. 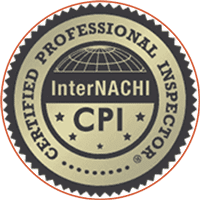 Our technicians are qualified to carry out complete mold testing, inspection and remediation as well as a number of other environmental services. 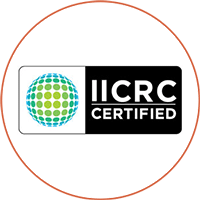 We're certified with NAMP and strictly adhere to S500 and S520 guidelines set out by ANSI/IICRC. 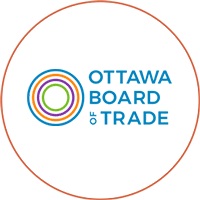 To learn more about these certifications and other credentials, check out our Qualifications page. Or, if you're ready to book a mold inspection, contact us now! Located in the southwestern part of Quebec, Montreal is the largest city in the province and the second-largest in all of Canada. Named after Mount Royal, a three-peal hill in the city centre, Montreal used to be called Ville-Marie. Although the official language is French, the city has a large anglophone community as well and is referred to by some as Canada's Cultural Capital. 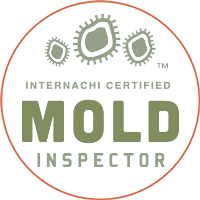 What should I expect from a Montreal mold inspection? 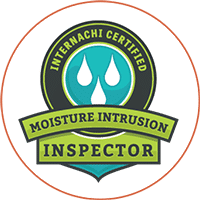 Every mold inspection begins with a visual assessment in which a certified Mold Busters inspector closely examines the suspected area. Among other things, he looks for signs of moisture intrusion; measures the moisture content of the air; takes a particle scan and temperature readings; and pays attention to any visual signs of mold such as black spots and wall discoloration; musty odours; and water damage. Using an infrared camera, the inspector may scan the room for any abnormalities in temperature, which are indicative of a mold problem. 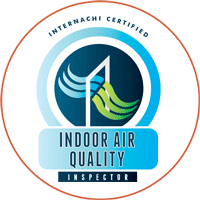 Finally, upon your request, the inspector may also take an air quality test or mold surface sample to determine whether or not mold is present. For Montreal homeowners, Mold Busters provides a wide range of services to ensure that mold problems are tested properly and removed as quickly, safely and effectively as possible. 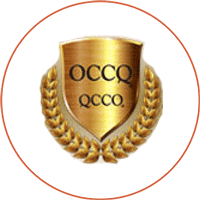 In addition to residential and commercial properties, we provide mold remediation for Quebec schools, daycare facilities and government buildings. 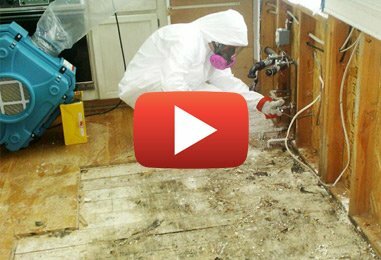 For mold removal in Montreal, contact Mold Busters today! Mold exposure, short- or long-term, is a health hazard. The severity of symptoms will depend on your individual sensitivity to mold, the duration of exposure and the species you’re exposed to. Some people experience symptoms similar to seasonal allergies (e.g. sneezing, congestion, itchiness), whereas others experience chronic liver damage, central nervous system disorders and a weak immune system, especially if exposed to toxic black mold. While mold exposure can affect anyone, it is the elderly, infants and children, asthma sufferers and people with already weakened immune systems who are most susceptible. You can be exposed via ingestion, inhalation and by touch. And the longer you wait to have mold removed, the bigger the threat it becomes to both your health and the structural integrity of your home. To grow and multiply, mold needs moisture, food and an environment that’s between 15°C to 27°C (conditions you typically find in attics). It’s not every day that you’re in your attic to find and fix a roof leak or to discover wet insulation. That’s why it’s easy for mold to grow in attics completely undetected; in fact, it takes only 24-48 hours to develop in its ideal conditions. Once it does, contaminated attic air can quickly make its way throughout the house via the HVAC system, putting all occupants at risk of mold exposure. Mold Busters has been removing mold and water-damaged materials from attics in Montreal since 2006. 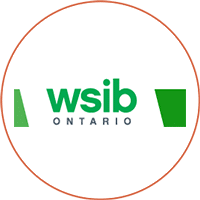 We have the expertise and professional equipment required to properly contain the affected area and thoroughly clean even the smallest, most hard-to-reach spaces. Basements are arguably even more prone to mold problems than attics. They are susceptible to flooding, condensation, and are typically not well-ventilated. Also, many basements do not have a moisture barrier beneath the floors, allowing moisture from the soil to make its way up into the home. Even routine and seemingly harmless activities such as drying your clothes or showering can lead to basement mold. You are not able to thoroughly clean all of the mold (because not all mold is visible). Mold Busters is fully certified to take on any flood restoration or mold remediation project in Montreal. Our high-efficiency particulate air (HEPA) vacuums and filters remove even microscopic mold spores from the air. All buildings are susceptible to indoor air pollutants, particularly mold. Why? 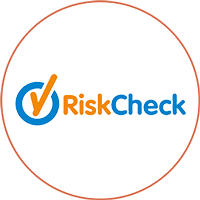 Because at one time or another, every home, regardless of age and location, contains the three criteria for mold growth (food, moisture, temperature). While preventative measures such as eliminating sources of moisture and improving air flow are crucial, it’s important to acknowledge that, despite your best efforts, there’s always that possibility. Inexplicable health symptoms: itchy or watery eyes, congestion, rashes, trouble breathing and swallowing, mental confusion, etc. If you see even one of these warning signs, your next step is a mold inspection. Sometimes, however, there are simply no signs of mold, which is why we suggest that an inspection becomes part of the routine maintenance of your property. Mold inspections by Mold Busters are comprehensive, conclusive and of little to no inconvenience for the homeowner. 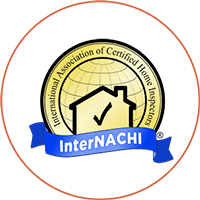 A certified mold inspector visits your home to assess the area(s) in question, first checking for signs of mold and moisture intrusion. To get a better sense of the conditions, the inspector measures moisture levels, relative humidity, airborne particles and temperature. If he deems necessary, he may also perform an infrared scan to locate or rule out abnormalities in temperature. At the homeowner’s request, the inspector can take a mold or air quality test to identify and quantify the types of mold present. Finally, using the observations gathered during the inspection, he puts together a report and, if necessary, a scope of work and quote for mold removal. If you have a residential or commercial property in Montreal, call Mold Busters for same-day mold inspections that are affordable, fast and accurate. Surface sampling determines whether or not a surface is contaminated with mold via tape, swab or bulk sample. For instance, if there is black spotting on your ceiling that you suspect is mold, a surface sample will confirm or deny that with a simple yes or no. This type of testing is generally straightforward and produces fast results on the spot. It does not, however, provide quantitative information about your IAQ. A non-viable air test for mold is quite different in that our technician will capture a specimen of air and send it to an accredited microbiological laboratory to be checked out under a microscope. Lab results reveal important, more detailed information about your IAQ, including whether or not there’s mold, the species present and the concentration of mold spores in the air. Not every cluster of black spots or musty odour is mold. That’s why it’s best to book a test before jumping to conclusions. It may just save you a lot of work, time and trouble. 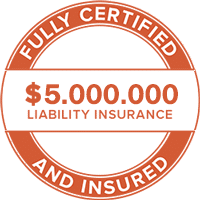 What is the cost of mold removal in Montreal? The cost of mold removal varies by project and is largely dependent on the size of the problem. To quote accurately, our technicians must first inspect the property and have a good sense of what the project will involve. Some property owners attempt to take care of mold themselves to avoid hiring a professional remediation company. This seems effective at first: you’ve scrubbed away what appears to be all of the mold and it hasn’t grown back—yet. The truth is DIY for mold removal is not a long-term solution. Clean only living, surface-level mold spores—not mold inside porous surfaces or dead mold spores, which are equally hazardous to your health. A professional company like Mold Busters will also conduct a post-remediation air quality test at no charge to give you peace of mind knowing the air you breathe is free of potentially toxic mold spores. 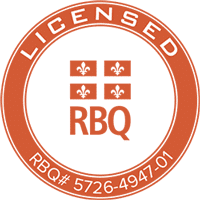 We do our absolute best to ensure our inspection, testing and removal services are affordable to Montreal property owners. Contact us for a quote today. 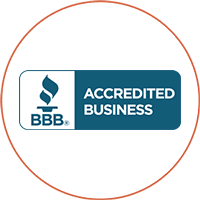 &starf; &starf; &starf; &starf; &starf; From the first and quick response and inspection from Jesse to the efficient and professional clean up team of Andrews'.. I am very pleased! &starf; &starf; &starf; &starf; &starf; Charlie could not have been better ... professional, polite and knowledgeable. He answered all of my concerns perfectly & what each step of the inspection process was. I would highly recommend your company because of the organized and professional job. I appreciale it greatly. &starf; &starf; &starf; &starf; Educational experience. Knowledgeable about what possible issues and problems could be and recommended solutions. &starf; &starf; &starf; &starf; &starf; Professional, courteous, service experience. All elements clearly and compressively explained. Gold standard. &starf; &starf; &starf; &starf; Charlie Leduc was very professional and knowledgeable. He represents the company well and is a definite asset. Because of him, I would recommend the company. In addition, the work seems to be well done and was done when committed to. The rating would have been 10 but the communications could improve in terms of outcomes. Also, the invoice matched the estimate (which was good) but didn't reflect the pre-payment. &starf; &starf; &starf; &starf; &starf; We think the rep that came to do testing was fantastic and the service was the same day I called.. which we really appreciated! 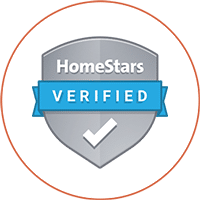 &starf; &starf; &starf; &starf; &starf; I was reassured by the very thorough physical examination of my home; the clear descriptions of what is in good shape, what the problem areas are, and how they can/should be remedied. Remedies discussed/proposed ranged from commercial to do-it-yourself and included a chronology of how tasks should be undertaken. I feel now like I understand what has to be done and why, and have the knowledge to make appropriate decisions or to contact Bust Mold again for clarification. It's just good to feel like I was a little more than just another customer - I was someone they'd like to help. &starf; &starf; &starf; &starf; &starf; Charles Leduc from Mold Busters Montreal was very thorough and forthcoming about the situation in our basement. He appeared to be quite knowledgeable on the subject of mold, dust acumulation and air circulation in a residence. 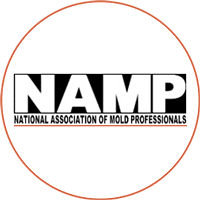 &starf; &starf; &starf; &starf; &starf; We were worried we had a mold issue in a rental property and your company responded to our request immediately and very professionally. The technician (Charlie) arrived within a couple of hours of our call to perform the testing and he was extremely knowledgeable, courteous and professional. &starf; &starf; &starf; &starf; &starf; Mold Busters Montreal was quick in responding to my request. They scheduled an appointment the next day. They called prior to arriving, and showed up on time. The gentlemen who showed up was very polite and professional. He did perform a swab test, assessed the situation and provided an honest recommendations. Thank you for the excellent service!